June 29, 2012 – San Jose, CA/San Diego, CA, USA -- Leading biosensor company NeuroSky launches the YouTube sensation, Necomimi, in the US at Comic-Con in the San Diego Convention Center. 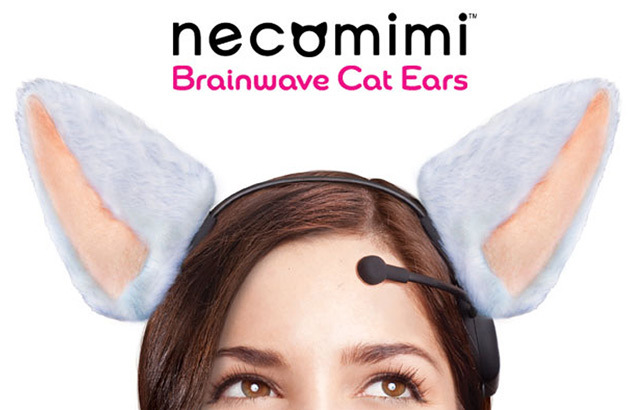 A concept born in Japan by Neurowear, a fashion electronics company, Necomimi's popularity skyrocketed within the anime and costume communities. Now general audiences are clamoring for the fascinating brainwave cat ears that respond to the wearer's mood. Necomimi is a headband with cat ears that move according to the user's feelings and emotions in real time. Necomimi, powered by NeuroSky's ThinkGear technology, gives people a chance to express their moods in a real-time, unique way.